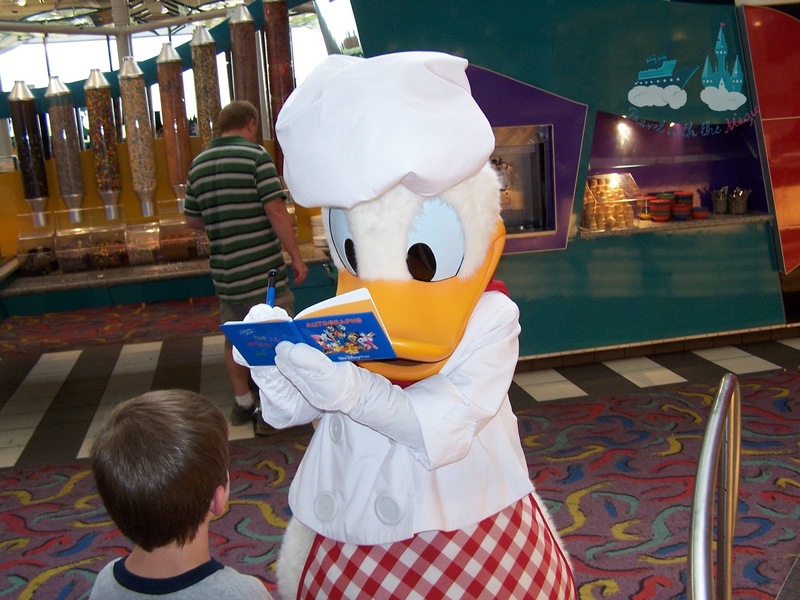 Thank you for joining us for the next installment of the Minnie Moms' look at our favorite character dining experiences. Janine: We've only done 2 meals so far - Play n Dine at Hollywood and Vine at Disney's Hollywood Studios and Cape May Cafe at the Beach Club. Both were all-you-can-eat breakfast buffets. Play n Dine was with Disney Junior characters, at the time they were Jake, Oso, Handy Manny and June from the Little Enstiens. Cape May was Minnie, Donald and Goofy in their swim gear. We really enjoyed them both. Personally, both hubby and I preferred Cape May. The Beach Club is exquisite and we loved eating there. It was clean, luxurious, the buffet was delicious and the characters were fab. Tink loved it too, but she definitely favoured Hollywood and Vine. Being a confident 2 and a half year old though, it was just what the Doc ordered, singing, dancing, a real easy going atmosphere with the characters really making a fuss of the kids. For next time we are hoping to do Tusker House with Donald and Cinderella's Royal Table. Very excited already!!! 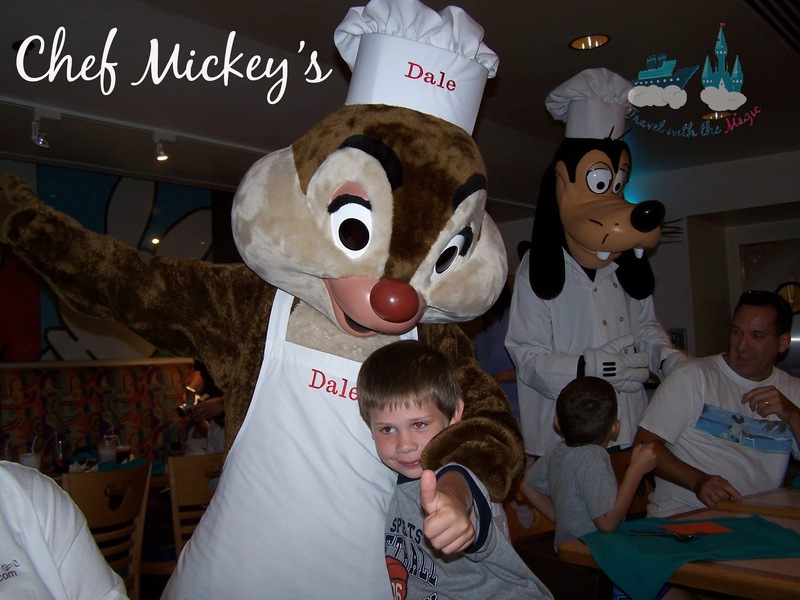 Kelly: My family dined at Chef Mickey’s for dinner back in 2006 and had a wonderful time. I do not love Chef Mickey’s for breakfast because my boys are not big breakfast eaters and I feel it’s not a good value of a table service credit on the Disney Dining plan. That is a debate for another time though. I find the dinner to have good quality food and it offers a chance to see the Fab Five all together. 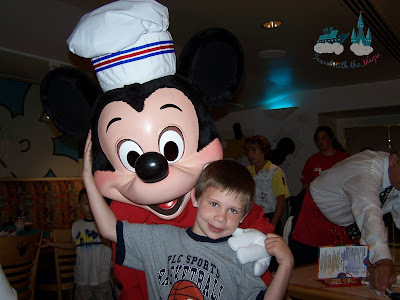 My sons are now 13 years old and 8 years old so Chef Mickey’s is no longer on the “must do” Disney Dining list. 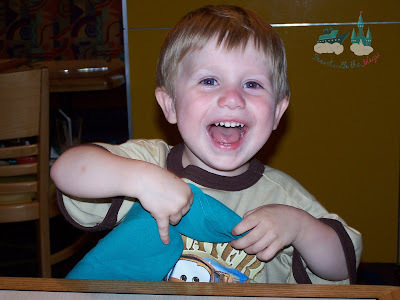 I remember this dinner fondly though as kids were eating up the food aka ice cream sundae bar and the atmosphere. 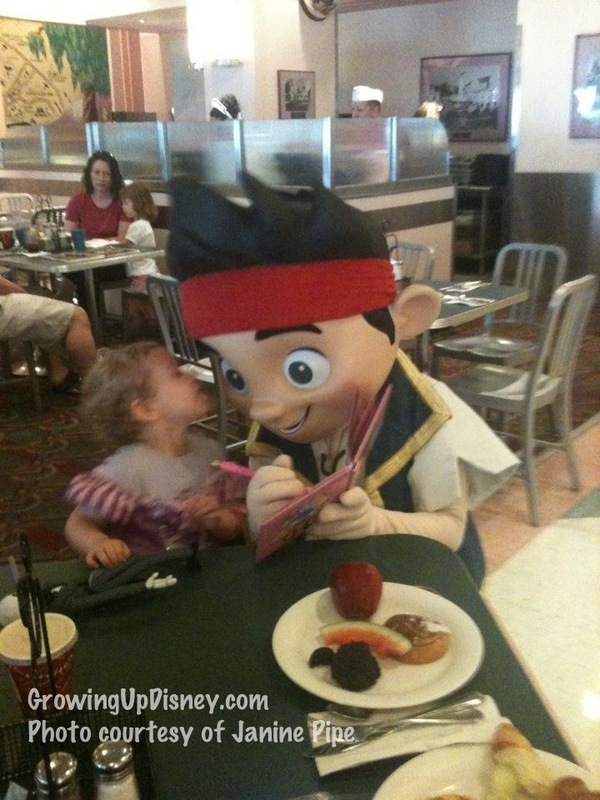 The characters, the singing, and the napkin twirling were all too much and they loved all of it. We did dine there several more times over the years but this is the meal that stands out to me and I have some wonderful photos of that evening. Natalie: If you have never seen this show, you really need to invest the cash to do so! I will admit that I am always looking to save money so I waited to see this show when I had free dining. The show is located at the Fort Wilderness Campground and it can take up to 1.5 hours to get to the dining location so be sure to plan accordingly! The show was interactive, entertaining and catchy. I found myself attempting to sing along, but rather looking the fool because I didn't know the words ;) The food was excellent! I had read the menu before coming and was not overly impressed. But somehow they make "cowboy beans" or country-style baked beans that enter my dreams since seeing the show! Bring me more beans, bring me more beans... All of the food is all you can eat so loosen that belt! I have since been to this particular show 5 to 6 times. Of those times, I have had someone in my party get onstage half of those! So, know, you may just get called up onstage to help out with the hilarious performance! You may ask why someone would see a dinner show that many times. Well, it is loads of fun and something you will want to experience with others. 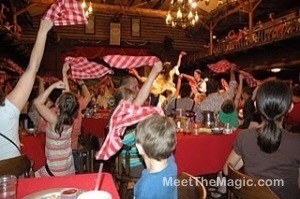 So, go ahead and get your dinner to the Hoop Dee Doo Revue booked for your next Disney vacation! I bet you too make it a Disney vacation tradition! 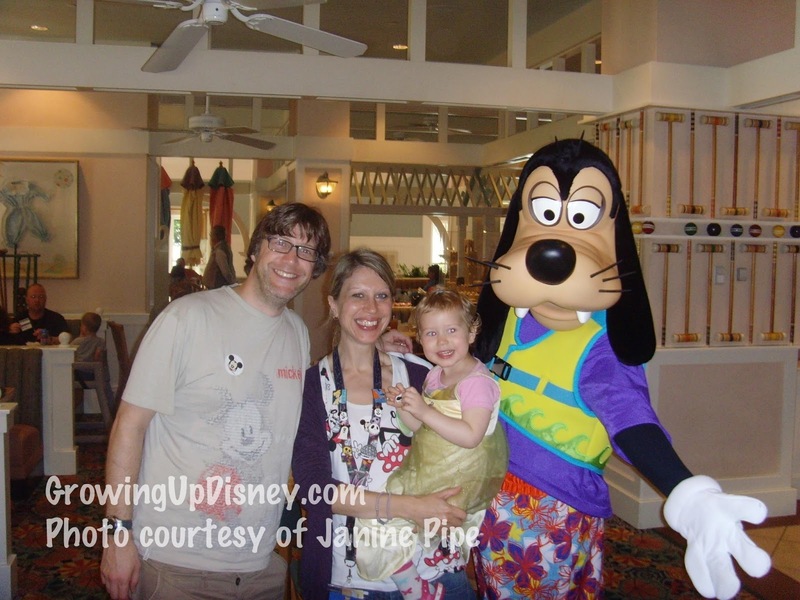 Janine of Growing Up Disney and Meet the Magic, Kelly of Travel with the Magic, and Natalie of Meet the Magic, thank you for these terrific stories! Readers, please visit our Minnie Moms page to learn more about these ladies and to read our past articles about all things Walt Disney World. Photo Flashback! Celebrate the Magic!